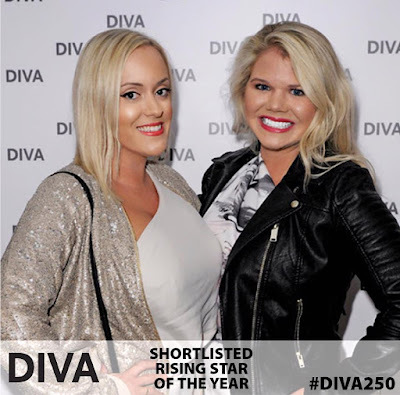 Well we have some great news... we are honoured to be shortlisted in DIVA's inaugural 2017 awards to celebrate their 250th issue! There are so many influential and amazing women shortlisted for these awards, and we are shortlisted in the 'Rising Star' (!!) category. We are listed as 'Wegan' at number 5, page 2. (Please feel free to spread the word!) Voting closes 14th February 2017. Find out more who is nominated here. DIVA is Europe's largest lesbian and bisexual magazine for women and we have read it for years. It would be an absolute honour to win this award! Either way, we'll be attending their glam awards party at Cafe de Paris in London, hosted by Rachel Shelley (!!) and you can attend too! Find out more about buying tickets here. Let us know if we'll be seeing you there.